Easy, secure payment options for your business. Your one stop shop for accepting online payments. Pay as you go! No monthly fees! Never pay more than $1 per transaction. Easily create a donation page to collect funds for your business, non-profit or personal cause. We provide embeddable resources (e.g. buttons, donor list) to get you started quickly. Start a campaign to raise funds for an urgent need. We provide embeddable resources (e.g. buttons, thermometer) to get you started quickly. 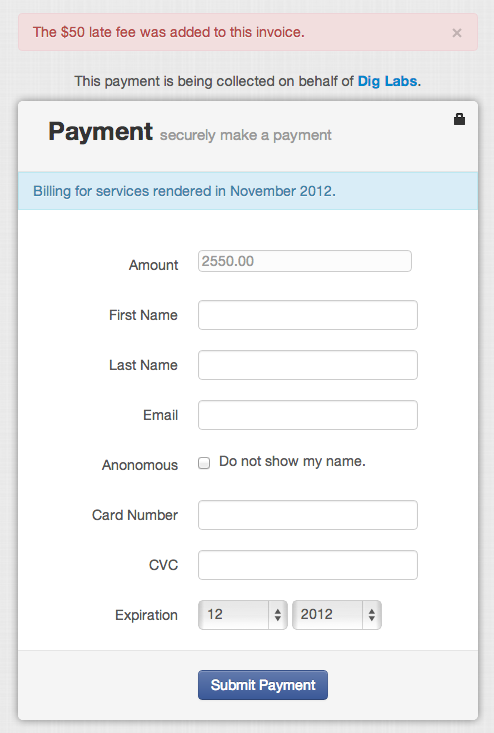 Simple billing allows you to quickly generate an invoice. We email your client and provide an easy on-line way for your clients to pay. 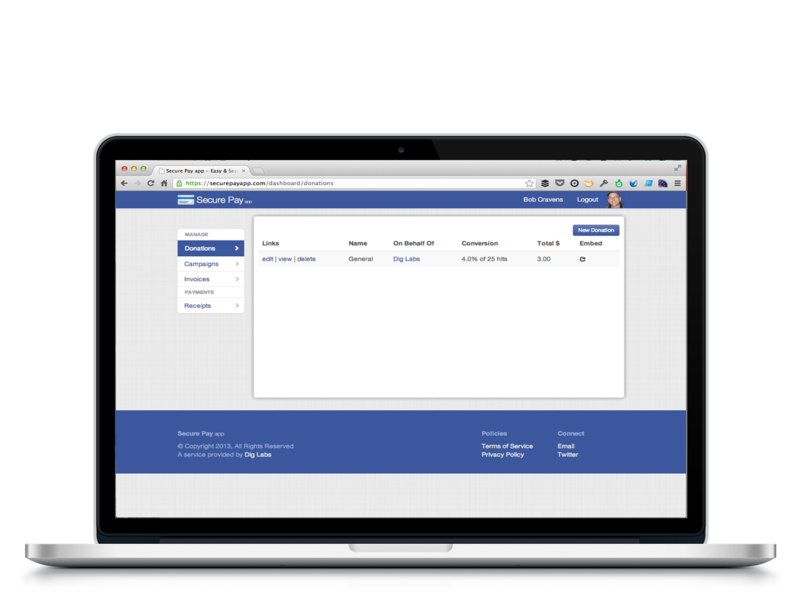 Manage donations, campaigns and invoices in one place. Your money is deposited into your account. Easy for your customers to make payments. Track click and conversion rates. Avoid the hassel of setting up SSL certificates. No website is necessary. We host all the necessary pages.